This week I received an email from a reader who had recently been diagnosed with Bipolar Disorder. She was asking for resources I might know of to help her navigate her Ph.D. program in light of her mental illness. I didn’t know of any, so I put out a request on Facebook and Twitter. The response was instantaneous and big. I compiled all the recommendations into the following list. As you can see I just cut and pasted directly from the comments on Twitter and Facebook, without elaboration. They are in no particular order, and I have not yet read most of these and can’t vouch for them. But many responders also asked to be sent any list of resources I might develop, and I wanted to share the list for the benefit of those who asked. It seems clear to me that this topic is close to the heart of many. (I don’t know why some of the links ended up not live, but if you cut and paste them as a new url they do work). I would like to solicit guest posts on the general theme of mental illness in the academy, and ways that people have coped with it, and challenges that they have encountered. If you are interested in writing one, anonymously or not, please get in touch with me at gettenure@gmail.com. Also email me if you know of other resources to add to this list. http://en.wikipedia.org/wiki/Dimitri_Mihalas Dimitri Mihalas is an astrophysicist who has written fairly extensively about his experience with bipolar disorder. An Unquiet Mind: A Memoir of Moods and Madness by Kay Redfield Jamison. Also, Touched With Fire. Katie Pryal. Many excellent Vitae columns on mental illness in the academy; start with Disclosure Blues: Should You Tell Your Colleagues about Your Mental Illness? Gerda Saunders. My Dementia: Telling Who I Am Before I Forget. From Slate. Tasha Golden. Creativity is Neither Magic Nor Madness. On depression and creativity, from the world of creative writing. On Ploughshares. Karen Nakamura A Disability of the Soul: An Ethnography of Schizophrenia and Mental Illness in Contemporary Japan. (a study of Japan, but includes discussion of the author’s experience of depression). Lisa T. McElroy. 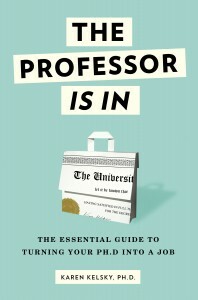 A law professor writes of life in academia with a severe anxiety disorder. Rich McLean, on living with schizophrenia. http://www.insidehighered.com/blogs/gradhacker/perils-perfectionism Not sure this fits your request, but this article by is a powerful piece. Lots in the comments too. On Imposter Syndrome see also the guest post on the topic on this Professor Is In site. Karen Nakamura (moi)’s new book is in schizophrenia and mental illness in Japan and talks about some of her own experience with depression. This is a brilliant list! Thanks so much for compiling and sharing it. I’m just starting a similar blog of my own (that is, one on the topic of mental health and academia) so I’m terribly glad I found this. I’ve certainly got my work cut out for me now! I am so excited about this string of posts, I haven’t even read most of them yet, but want to say I am very very grateful to see someone writing about. I was diagnosed with bipolar 20 years ago and have been struggling to reconcile it with academia for many, many years with limited success. I will read more and post again. Thanks. I saw this pop up on social media this week; helpful to have the links here. A colleague is a very important resource and I came across this text with ways to be supportive.